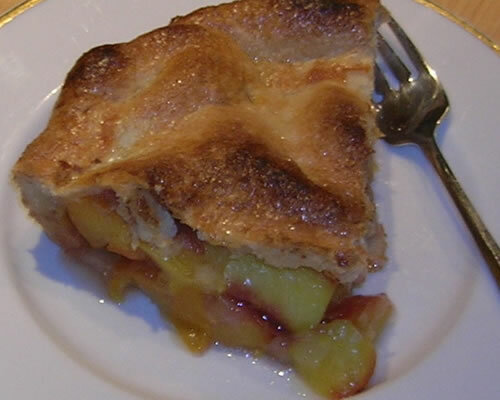 One of the earliest memories I have of my maternal grandmother is her giving my brother and me fresh-baked peach pie and vanilla ice cream for breakfast. Grandma was one of those old-fashioned grandma’s who made everything from scratch, canned her summer fruits and vegetables, and eschewed “convenience” foods. She ate real food and served us real food. Fast-forward to my sister Arlene… She lived on a peach orchard for years and kept me supplied with absolutely perfect peaches. The kind you had to eat standing over the sink because the juice would run everywhere. I’d get a lug of peaches and head home to make homemade peach preserves, peach upside-down cake, peach salsa… you name it. When she moved a few years back, it was pretty much the end of the perfect peaches. I have bought peaches constantly and have always been disappointed. 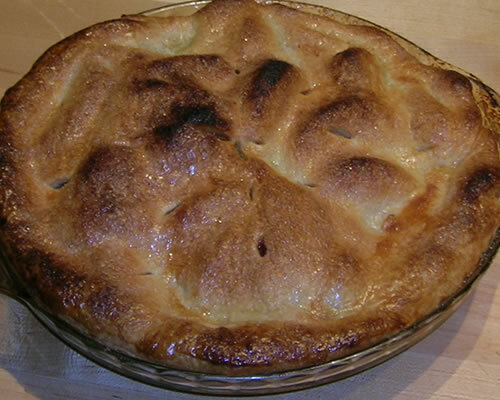 Nothing has come close to those peaches grandma made her pies with, or Arlene supplied to us – until yesterday. We had a pallet of peaches come into work a few days ago. 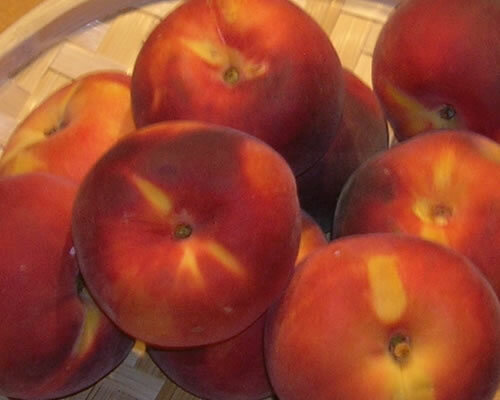 I didn’t pay much attention, because… well… I’ve been pretty disappointed with the peaches I’ve bought this year. I should have paid closer attention sooner! These were Colorado peaches (who knew peaches grew in Colorado?!?) and OMG they are the closest thing to those peaches of yore I have had since moving east almost 8 years ago. UInbelievably good. I brought home a box and after careful consideration, decided that a pie was in order. The peaches didn’t need anything but a bit of sugar, a sprinkling of flour, and a few pats of butter. No cinnamon, cloves, or any other spices. Totally unusual for me, but these peaches were just too damned good to cover up with anything. I think I came close to grandma’s pie tonight. Probably as close as I’ll ever get. I am so glad I grew up with real food before the onslaught of chemical-laden-processed junk. I’m glad I was able to taste a real peach pie before peaches were bred to be shipped thousands of miles and not eaten locally and know what a peach is supposed to taste like. And I’m reall really glad I made that pie tonight. And I may just have a piece tomorrow morning for breakfast.